Champion lawn bowler Paul Cameron is “finished” with Camperdown Golf. Elliminyt marathon mountain bike rider Nick Kennedy is hoping the past two months of training will pay off this weekend. A robot nicknamed “Robert” is helping boost the skills of Colac’s table tennis players. 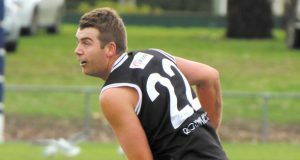 Colac Braves have taken baseball promotion off the agenda and will focus on developing a host of emerging pitchers and catchers. It’s a rare occasion that a junior cricketer scores more than 50, let alone 100. An in-club row threatens to derail Camperdown Golf’s bid to claim this season’s Division One lawn bowls flag. 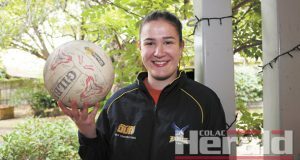 Colac District coach Leah Ousey believes her side is well positioned at the halfway mark of netball’s Western Region State League. When Lorne’s Greg Bayley woke up on Friday morning, winning a 10-kilometre Colac fun run was the furthest thing from his mind.